The answer to your retirement questions. Questions about how, where, and when to retire? There are a lot of unknowns in retirement. Embrace the educated guess with professional tools and community collaboration. Learn from retirement rock stars who are a little further ahead of you—and help those who aren’t far behind. Download real pencil-to-paper tools that help identify and clarify your goals. Apply the Retirement Answer Man podcasts directly to your life with tools and tips from Roger. You never know what you can get until you ask. Here you’ll get education, perspective, encouragement, and more. The RRC is a safe, private, like-minded, online community that teaches and learns together. doesn’t have to mean doing it BY yourself. It’s like the Retirement Answer Man podcast, only you get to talk back. The RRC has helped me realize that there is more to this whole retirement thing than I thought. Good thing I found this group to help with the pitfalls! 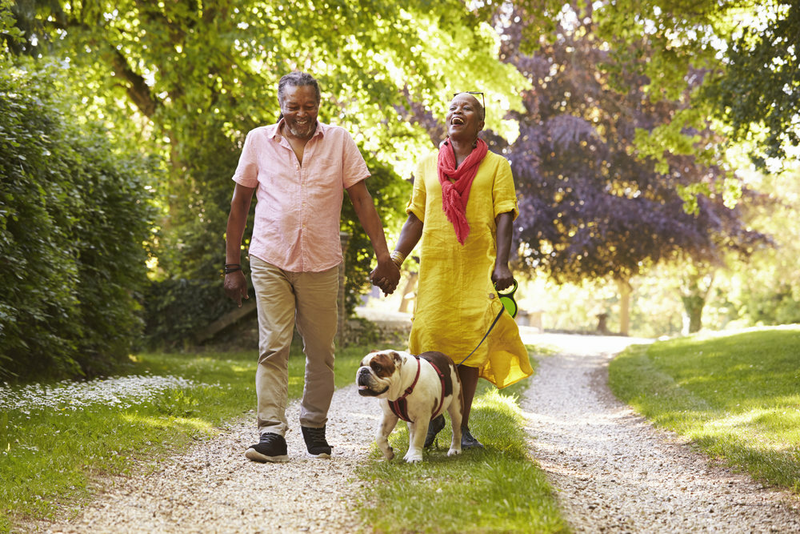 The RRC is only getting started, but the value of a forum where folks can walk their journeys to retirement together is already obviously clear. The interaction with others who are all facing similar issues related to retirement is refreshing and helps ease the anxiety on the transition into retirement. My experience with the RRC has exceeded my expectations…a community of like-minded people with a platform for exchanging ideas/experiences/learnings/etc. and with content and leadership provided by our guru, Roger. I decided to join RRC because we're younger retirees (LifeInFIRE), and we love learning. The club members have so much real life experience to share, are so positive and friendly, and to be honest, these discussions do not happen with people in everyday life. I truly value being part of RRC and can't wait for more members to share with. What I love about RRC is the community of like-minded souls who are 1000% aligned to making this season of life the most intentional and fulfilling. You are not alone on that journey in the RRC. I have found a community of fellow travelers, people who are interested in learning about retirement finances and rocking life in retirement. The best part is being able to learn from someone who’s just been where I’m going and to help someone who’s only a step behind me. Joining the Rock Retirement Club has been such a game changer for us. It's becoming my main resource for retirement planning, questions, and support. If you are looking for a community of people who are in the same phase of life as you and seek knowledge on how to navigate the best path to "Rock Retirement" this is the group for you! I'm excited to be part of a community that has similar interests and encourages one another in whatever stage of retirement that we may be in: pre-retirement, ready to retire or post-retirement. RRCers have already provided me wise input on some of the choices I am facing as I approach retirement. RRC is an amazing group of savvy yet friendly people! An easily accessible resource on retirement topics for all knowledge levels! RRC provides an exciting forum for like-minded folks who want to help one another maximize their retirement experience. While each of us is on a little different part of the journey, we can learn a lot from each other. And Roger adds his great guidance and advice along the way. A very good investment of my time and money! As I retired last year at 52, logic told me my “numbers” would work. But when to retire is more than just numbers. With the support of fellow RRCers, I’ve realized that I’m not crazy for wanting to start this retirement adventure as soon as I could! I have found the Rock Retirement Club to be a valuable community of like-minded and reflective individuals who are interested in making the most of their retirement years. Folks participating in the Club share ideas, experiences and knowledge about their aspirations and plans for living well and making thoughtful decisions about how to spend time, money and resources to rock their retirement. No sales pitches. No chicken dinners. Just the answers to your questions from people on the same path. And from the man who wrote the book on how to Rock Retirement. Just $44.99 per month for as long as you need it. Membership fees will not go down and the benefits, community resources, and number of courses will only go up. Join today and reap the rewards for months and years to come! Roger Whitney, CFP®, CIMA®, CPWA®, AIF®, is the voice behind The Retirement Answer Man podcast, the brains behind his proprietary Agile Retirement Management™ process, and the face of the Roger That! YouTube channel. For over 25 years, Roger has been helping clients, listeners, readers, and do-it-yourselfers live well and retire better with tools, tips, education, and advice. Roger’s approach to financial planning, and life in general, is in finding answers, inspiration, and education through meaningful conversations. Facilitated by Roger and supported by a private community of like-minded people on a similar journey, the Rock Retirement Club is a source of education, tools, experiences, and connection for those looking to make the best out of the rest of their lives. Very happy with my decision to join RRC. Simply enabling a safe, secure, respectful environment for like-minded folks to noodle through the opportunities and challenges of retirement has yielded insights and a feeling that I'm not alone. Looking forward to moving forward together.